The Second Dialogue Platform organized within the project “Solid Waste Management in cross-border rural and coastal areas of South Eastern European region”, takes place in Dubrovnik, Croatia, on 9 and 10 March 2016. 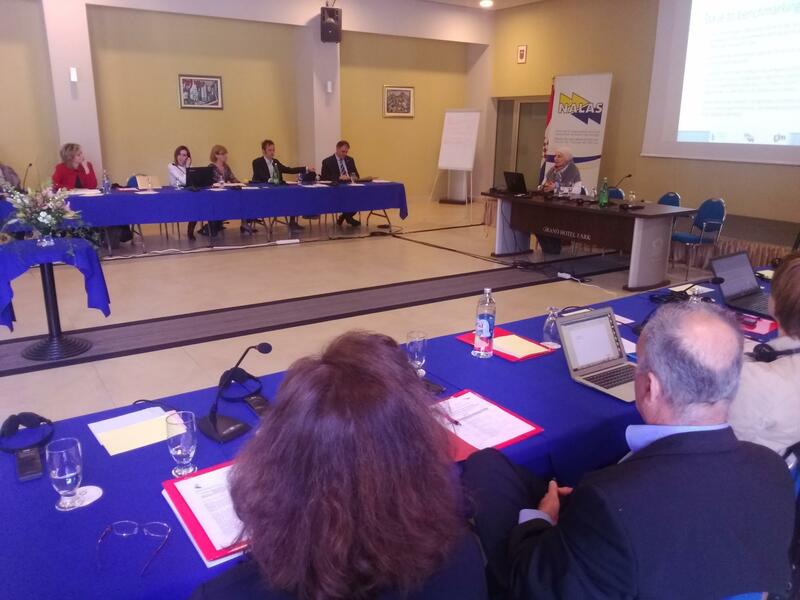 The aim is to present the Environmental and Economic Impact Assessment as a base for development of a proposal on Integrated Solid Waste Management Model in the cross-border context of the Adriatic Sea coast. The Platform is used to discuss the Methodology for Monitoring of the Marine Litter and Marine Litter Sources, as well as the roles and responsibilities of relevant stakeholders. Concepts on waste collection and recycling with an accent to the Tourism Waste Collection Organization are considered. The process of formulating policy recommendations on integrated solid waste management in cross-border areas, initiated within the First Dialogue Platform session in Bar, Montenegro, will take place too. The Second Dialogue Platform gathered representatives from nine pilot municipalities/cities and their respective public utilities from four pilot countries: Slivno and Mljet from Croatia; Neum from Bosnia and Herzegovina; Herceg Novi, Bar and Ulcinj from Montenegro; Shkoder, Vau i Dejes and Lezhe from Albania. In addition, stakeholders relevant for proper implementation of the Solid Waste Management at local and cross border context such as national experts on solid waste management, representatives of central government institutions, private operators, civil society organization and the Associations of Local Authorities from the pilot countries took part in the Platform. The Second Dialogue Platform is organized by the Association of Municipalities in the Republic of Croatia. The project “Solid Waste Management in cross-border rural and coastal areas of South Eastern European region”, is implemented by NALAS and SWG, financially supported by the GIZ Open Regional Fund Modernisation of Municipal Services (ORF MMS) and the Government of Switzerland.